Taylor could not be more like me. I mean she looks like me. She is OCD like me. And she is definitely stubborn like me. She’s not cold, but she has her arms in her shirt. 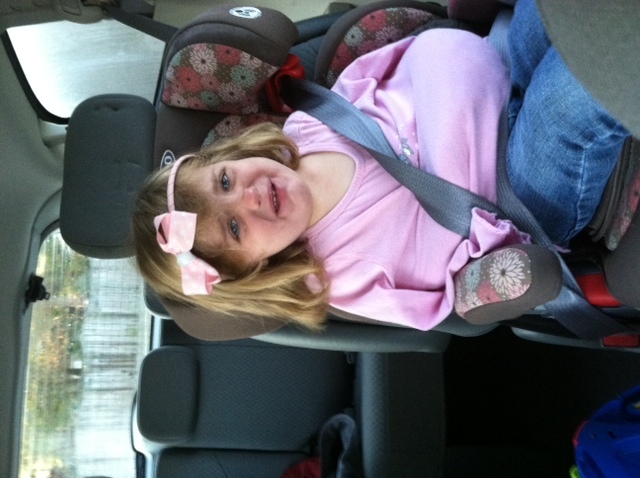 She cried all the way to school. I just turned the radio up. I’m the world’s best mother, yes? I think the best part is that you took a picture of her like that! I took a video of Ryleigh pitching a royal fit the other night because I wouldn’t give her cookies for dinner. I couldn’t calm her down and I definitely wasn’t giving her cookies for dinner so I got out the iPhone and captured the moment.